What is so important about location efficient design, energy efficiency incentives and energy conservation? They are the bottom line defense against environmental degradation due to consumption of too much water, excessive land conversion, habitat destruction, air pollution and unhealthy living arrangements. location efficient design: is a means of putting laws in place the discourage spawling - low density and automotively challenging developments that cost municipalities more money every year to maintain services. energy efficiency incentives: means reversing, for example, the recent decision of DCA (Department of Community Affairs) to cancel the Florida Energy Loan Program that had been successfully making 5% loans available to small businesses in Florida to reduce their waste of energy. Without economic incentives to using energy more effectively consumers in Florida will be paying much higher rates for electricity in the next five years. energy conservation: or EC means to do more with less; to better match costly and intensely useful electricity or fuels to the task required. EC remains the single most important means of reducing our immediate impact on the earth's air, land, water and wildlife resources. It is the facet of the California energy restructuring debate that was ignored by the final writers of the legislation to decrease regulatory protection of the private electricity monopolies in that state. 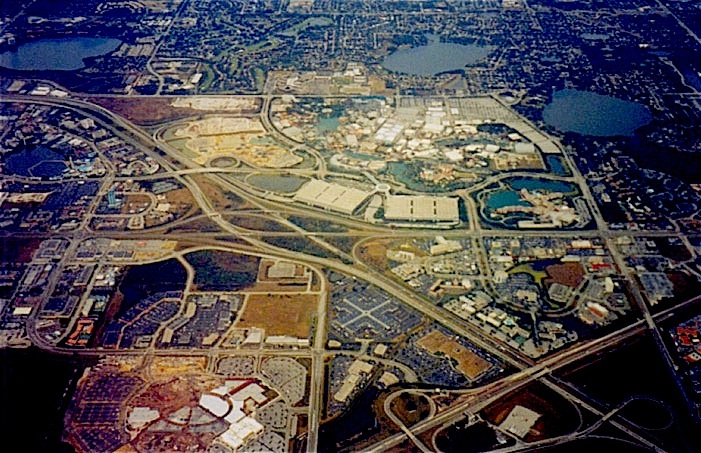 location efficient design: see the Treasure Coast Regional Planning Council's (Stuart, Florida) publications on Town designs appropriate to Florida were walking, bicycling and conveniently inexpensive shuttles can move enormous numbers of people with far less emissions. One such example is Miami Beach's investments in electric busses. energy efficiency incentives: The Treasure Coast Regional Planning Council's Energy Task Force report clearly states the need for builders, cities, state agencies and planners to consider ecologically real limitations in the designing proper economic incentives for doing more with less electricity or fuel. [with high SEER ratings of say 12 or better]. Reenact and better fund the Florida Energy Loan Program for small businesses. Create a public benefits fund that makes affordable loans available to households replacing inefficient appliances after a certified energy audit of the premises. Energy Homestead Exemption (EHE) for a reduction in property taxes for clustered, energy efficient and water conserving developments. energy conservation: There is no better example of an appropriate approach to building in a way that conserves energy, materials and landscape than the Nature Conservancy's complex at the Disney Wilderness Preserve near Kississimmee, Florida . 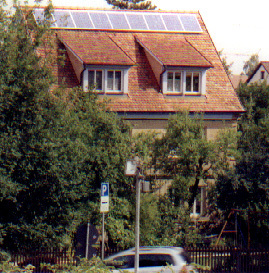 In the German city of Rothenburg this solar electric home displays nine panels on the roof to capture the sun's radiation and transform it into electrical current to run appliances. Often people forget that the sun can be used in three ways. Initially the passive use of thermal radiance to warm a home reduces the need for space heating. The active use of solar panels to heat water provides a significant reduction in the need for fuels to heat water. The last active use, and perhas the most usefule application of radiant energy today is to generate electricity. This solar facilty at the Sacramento Airport in California generates radiant electricity for automotive vehicles. Sighting new construction in such a way that you make use of native, local conditions where the angle of the building captures the shade, breezes and natural elements to reduce the need for heating and air conditioning (our two largest residential uses of energy at peak times). Thermal use of the sun's power to heat water for homes, schools, churches, rest areas, restaurants and offices. Electricity use of the sun's ultraviolet radiation to generate a photoelectric current in the presence of solar panels just like the space station utilizes!